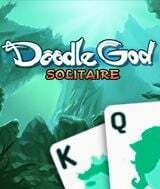 Download Solitaire Doodle God for free at FreeRide Games! Solitaire Doodle God  unlock all 12 divine elements and watch as civilization builds under your fingertips!The creation of humanityand 120 new and unique solitaire levels  an ideal combination for any solitaire fan! Start from the most simple microorganisms and create animals, mechanisms and entire armies! The ability to create is now entirely in your hands!Enjoy classical solitaire improved with a new game mechanic  collect pairs of cards! A special multiplier increases your reward if you find card pairs quickly. Buy bonuses with your reward: mulligan, shuffle and joker. 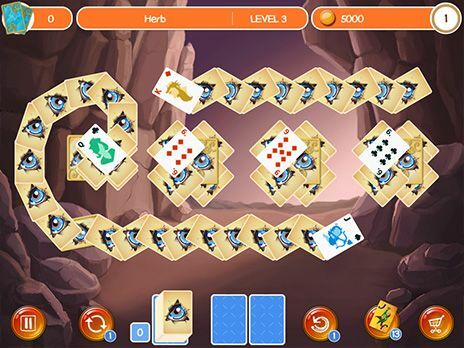 Solitaire Doodle God is a long journey full of joy, creation and artistic torment, both forclassic patience fans and fans of solitaire with unusual rules.